Home > About Us > News > Putting Christmas on the credit card? Putting Christmas on the credit card? 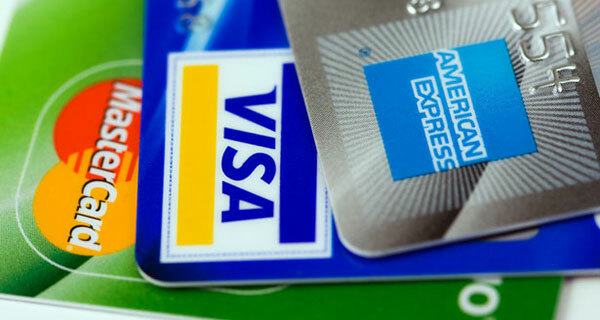 Over one in three people are putting Christmas costs on their credit cards this year, reveals the Money Advice Trust. New research shows that nearly a quarter of adults put Christmas food on their credit cards. Additionally, 14% worry about money every day in the run up to Christmas, 3% lose sleep due to money worries and 9% say money worries are ruining their Christmas. We always see a dramatic increase in people seeking our help in the aftermath of Christmas due to debts accumulated over the holiday. Less than a third of people have a Christmas budget they stick to, while over half say they haven’t saved for Christmas at all. In addition, almost 30,000 individuals with a mental illness will be out of pocket over the holiday while they are waiting for an Employment and Support Allowance (ESA) or Personal Independence Payment (PIP) tribunal*. The Centre for the Modern Family has revealed that 43% of grandparents help their families to finance Christmas, with 35% of them making sacrifices to pay for this. Of those making sacrifices to help out their family, 64% are turning down the heating and 66% cut back on their weekly shopping. In fact, the average spending by grandparents at Christmas is the same as their entire month’s state pension - £550.35. Throughout the course of the year, UK grandparents spend a staggering £35 billion supporting their families financially. Some charities specifically give help to disadvantaged people at Christmas, such as the Salvation Army and homelessness charities, such as Crisis. You can find out more by reading our Christmas Grants and other support news article. Most charitable funds do not provide specific grants to help people meet the costs of Christmas because they do not consider this as a specific need. However, some may consider applications depending on a person's particular circumstances and background. Others might give grants to help with basic needs, which could free up some of your money to pay for Christmas expenses. However, with only just over a week until the 25 December, it is unlikely that most charities would be able to process a grant application before Christmas and many are closed over the Christmas period. If you are on a low income and struggling with money, help may be generally available from charities, depending on your situation, background and needs. Use the Turn2us Grants Search to find charitable funds that may be able to help. Use the Benefits Calculator to find out what benefits you are entitled to.